As a child of the 80’s, I grew up loving film cameras. I couldn’t wait to drop off my rolls (and rolls) of film and wait patiently for the hours or days to pass until I could pick them up. It was always a surprise to see the photos printed. Did I capture what I saw? Did the camera see something that I didn’t? Film photography holds more mystery. In college, I took a photojournalism class, where I learned the process of developing film the darkroom. I found it simply magical. One minute I’m staring at a blank piece of paper in some liquid, and the next it’s the image I captured. I learned how to burn and dodge, sharpen and soften. Turns out those are more than just Photoshop tools. It was both an art and a science. While I love my digital and iPhone cameras, I sometimes miss the tangible aspects of photography. I know I can take 30 pictures of something, select the perfect shot to edit, and then filter it, process it, upload it, share it, tag it, and tweet it. All without ever touching it. That’s what I miss. With digital images, I can take as many as I want, and some days, I don’t know if that’s a good thing. Instead of waiting, planning, and timing my one or two film shots, I can just snap away on my iPhone until I think I have enough. And Photoshop does the rest. Digital photography can make me lazy somedays. It’s no surprise that I’ve been drawn back into the printed world of photos. 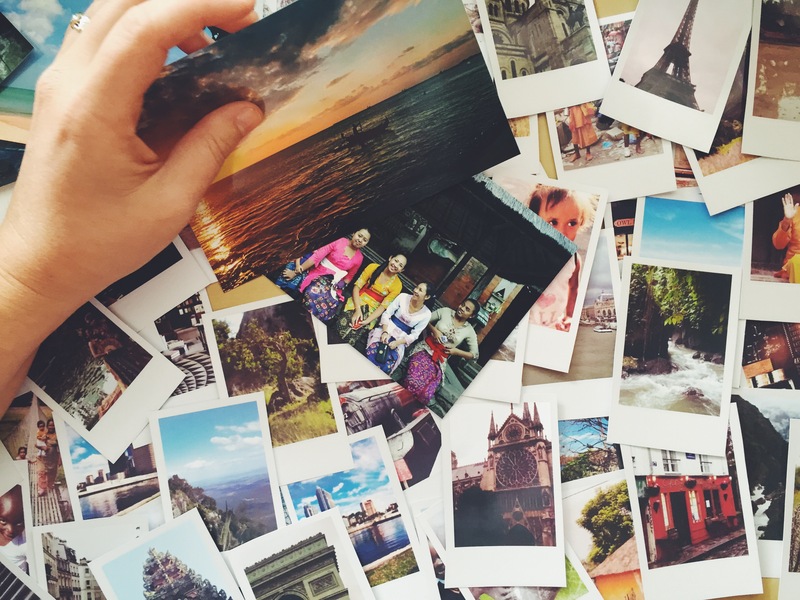 I’m obsessed with Fuji’s Instax cameras and printers, bringing together the immediacy of today’s digital world and the tangible of years past. Holding an image in my hands solidifies the memory. It takes it out of the cloud, and back into my life. As I prepare to move to Asia in March, I know I can’t take all the printed photos that I want with me. I have to choose. I have to be selective. But I will carry pieces of life in America with me as I go. I will use the last weeks in my home country to make new memories. So join me in taking photos this weekend, and even printing some of those photos. Make some tangible memories. Thanks! Glad there are fellow film lovers out there!! I was just talking to my students about this topic yesterday (film vs. digital). I totally vibe with this post.